One of the most exciting experiences that you can have whilst traveling throughout Africa is to climb the spectacular Mount Kilimanjaro. Referred to as the ‘Roof of Africa’ this 4,900 meter volcano is the continent’s highest, despite its height however, the slow incline and solid footing means that this mountain is, relatively speaking, one of the easiest to climb, in terms of the world’s big mountains. 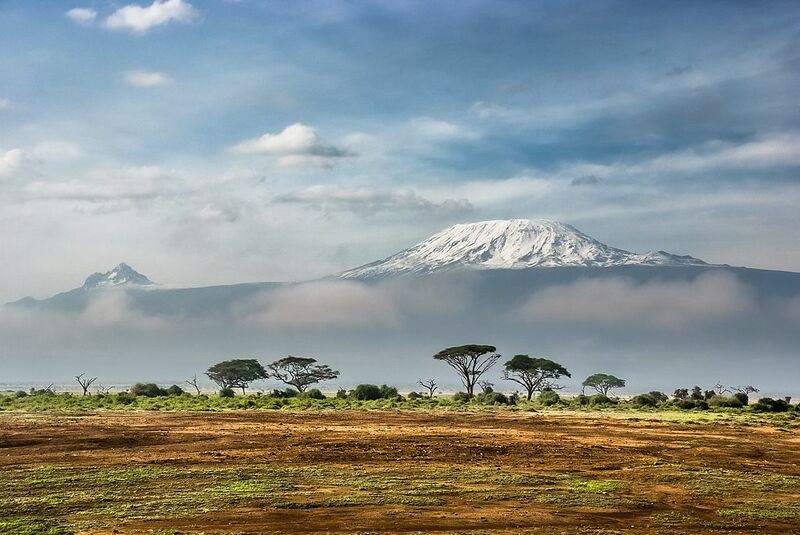 The mountain is situated in the Kilimanjaro National Park in Tanzania and before you decide whether or not to climb it, here is what you need to know. Kilimanjaro is a relatively easy mountain to scale, but that does not mean that it is easy, not by any stretch of the imagination. Conversely however, you don’t need to be super-fit in order to climb the mountain, but you must have good physical condition, no outstanding health issues, as well as being able to manage your exertion. During the trek you will be hiking for between 5-7 hours per day, and mores on the summit day, if you have poor condition you won’t last the distance so whilst you don’t need to be an Olympic athlete, you do need to be able to last the course. What makes Kilimanjaro climbing easier when compared to its high altitude counterparts, is that you don’t need any claiming skills in order to reach the summit. There is one section on the climb called the Barranco Wall which requires basic bouldering skills, but you don’t need any preparation for this. It is vitally important that you have the right kit with you on the hike, as the climb itself will pose many weather changes. You must ensure that you have clothes which you can layer, waterproof clothing, as well as a windbreaker jacket and thermal under-layers. Equally you must ensure that your boots are comfortable and durable, and that you have some warm gloves with you. In terms of specialist equipment, some opt to take trekking poles for balance, and to aid with the descent, but these aren’t mandatory. There will be some acclimatization to be done when scaling the mountain, given its vast height and high altitude. The pace of the climb will determine the risk factors, with a faster climb causing more problems. The key is to know what the signs of altitude sickness are, and acting if they befall you. As long as you climb slowly, drink lots of fluids and sleep at a lower altitude than you have climbed, you will be just fine. There are a great many guides that will take you up the mountain, and these men and women are very experienced, and can help you pick the right route, as well as looking after you during the journey. You can find guides at the base of the mountain. With the guides you will also have two or three porters who will shuttle up and down the mountain to replace food and water stores. This is a truly remarkable achievement and one which is well within your reach, just be sure that you have prepared in the right way.